Pixels Past projects provide resources and accessories for retro gaming enthusiasts. No technical support will be provided for the information herein. 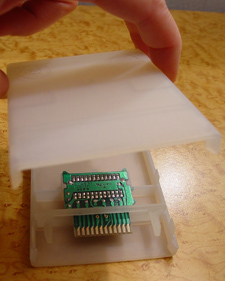 Build your own video game cartridges using these custom PCBs. Designed to fit the console’s standard cartridge housing. Originally manufactured and distributed by AtariAge. Cartridge housing design for the Atari 2600/VCS that simplifies manufacturing (injection molding or 3D printing) and assembly. Co-created with tool. in 2002. 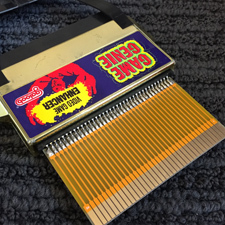 Interface board to allow proper connection from the Game Genie to the NES Top Loader. 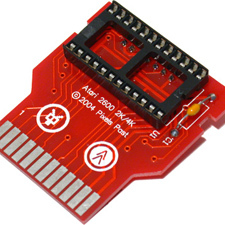 Provides the necessary 1.2mm (0.047″) PCB thickness to prevent damage to the console. Requires a harvested Game Genie cartridge connector.